You are not in need for my little heart. I wish Your glory would not depart from me. You, whom all the heavenliness glorify! I confess to You with my tears and the sighs of my heart! By my sins and transgressions, I drive Your glory away from myself. I grieve Your Holy Spirit that dwells in me. 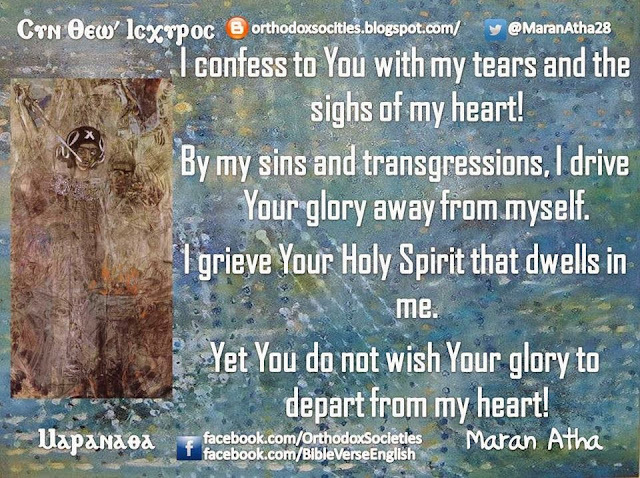 Yet You do not wish Your glory to depart from my heart! Yet Your amazing love wishes to proclaim it in me! To be glorified in me! And to make me worthy of the fellowship of Your eternal glory!